I agree with the person who said "unless you have £40m, shut up!". This really is the building's last chance to save this building. Personally, I wish them all the best. I really hope this works out - and think it will! If it wasn't for signature then discussions would still be continuing and damage increasing to the tipping point stage where the building would have been passed saving - cue spontaneous combustion and demolition! In years to come when the coal exchange is again the jewel in the crown of Butetown and has kickstarted interest in the area, and other fine buildings being restored to former glories and occupied in varying capacities, it will be the vision of signature that we should thank. They've taken a big gamble in the face of plenty of well meaning and vocal critics - but action speaks louder than words, there's now a good chance the coal exchange will be saved but just in the nick of time!! The facade is looking fantastic! I'm so happy that this building has been saved! Will they be open for the CL Final? There's a lot of money to be made as the only accommodation left is a house on Barry Island for £3500 per night! 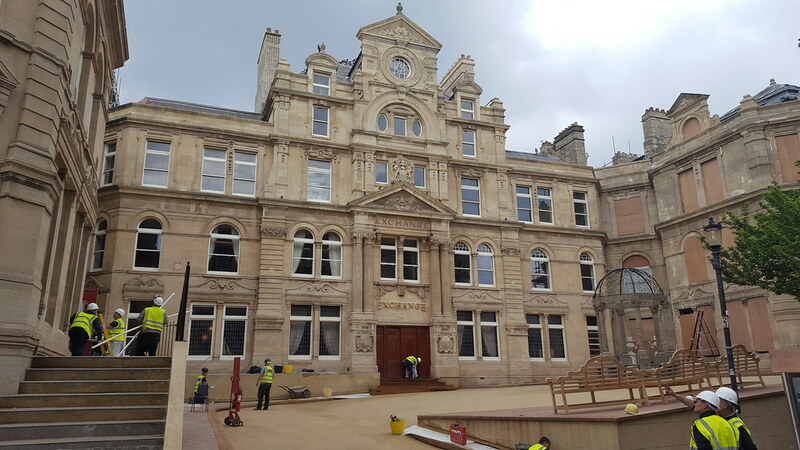 I hope that will be the catalyst for the regeneration of the rest of Mount Stuart Square. Some of the great buildings and façades have also been derelict for years and could return to life. Jantra. Isn't that the building where your office used to be?